The newest colorway of the Schott x Converse All Star Leather Jacket launches this week. After last being made available this past December, the Schott NYC x Converse First String Collection grows by one with the addition of the White Leather Jacket All-Star. Using inspiration from the centerpieces of their respective brands, the Chuck Taylor All Star and Perfecto leather jacket, Schott and Converse pay tribute to their parallel histories that date back to the early 1900s. With a black-based pair dropping during the winter, it only makes sense that they'd release a white-on-white look for the summer. 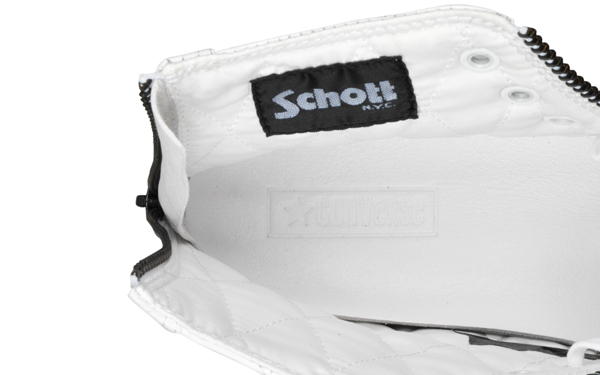 The rugged shoe features a premium motorcycle jacket white leather upper, rear zipper entry and additional zipper details along the eyestay. 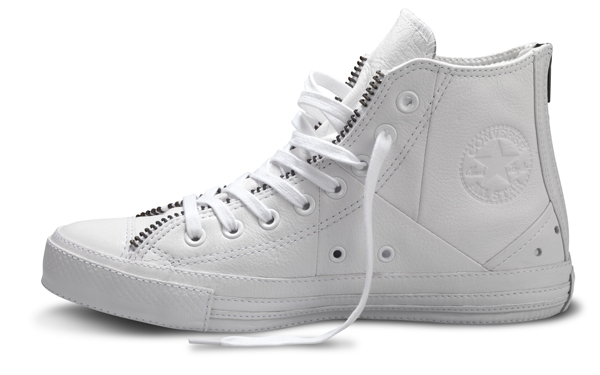 Other details include snaps on the tongues, a quilted inner liner, discreetly stitched Schott branding along the inner liner and an embossed Chuck Taylor All Star patch on the ankle. 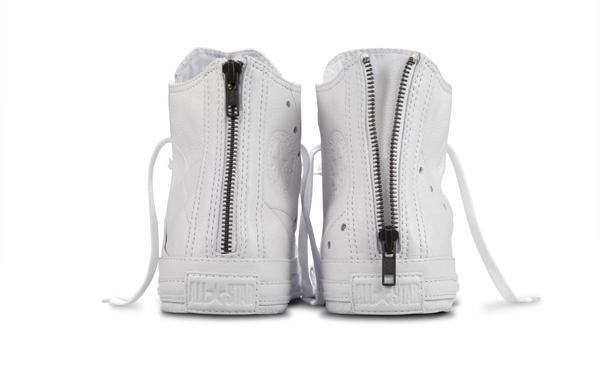 The new Schott for Converse Chuck Taylor All Star White Leather Jacket shoes will be available in unisex sizing on April 15, 2011 for $150 at select Converse First String retailers including Stussy (New York), Blends (Costa Mesa), St. Alfred (Chicago) and Kicks Hawaii (Honolulu).